On Wednesday, SeaWorld's Twitter account posted a photo of a mother orca whale with her baby, accompanied by the caption, "Everything we do in the care of whales is centered on the mother-calf bond." The theme park's social media team is now promoting the tweet -- a service that can cost thousands of dollars -- so that it shows up at the very top of many users' Twitter feeds when they open the site or app. The tweet has caused quite an uproar from the rest of Twitter -- many have pointed out hypocrisies it brings up. 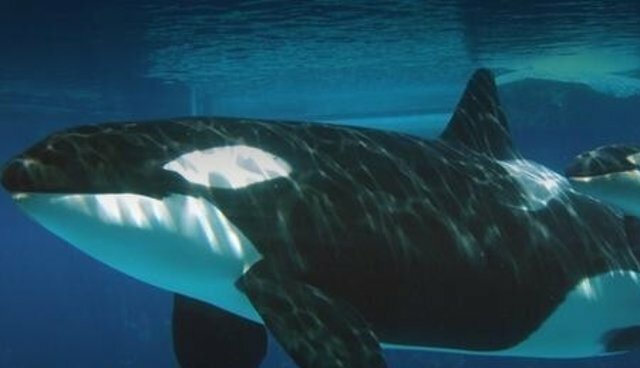 "Blackfish" research assistant Jordan Waltz and former SeaWorld trainer Jeffrey Ventre confirmed that the whales pictured in the tweet are Takara, a 22-year-old female that lives at SeaWorld San Antonio, and her calf Kohana, who is now 11 years old. 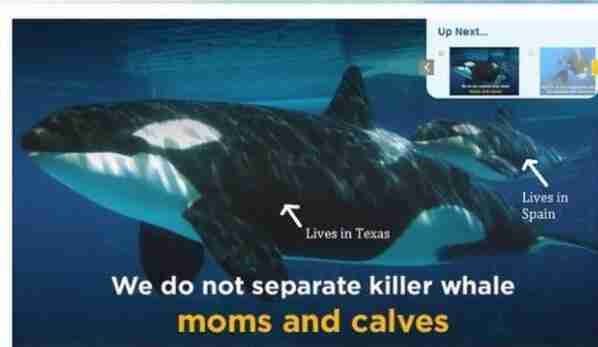 SeaWorld has repeatedly insisted upon the fact that they "do not separate killer whale moms and calves" -- a point contested by the CNN documentary "Blackfish," and by the list of whales that have been separated from their mothers, many of them by SeaWorld. A quick Google search will tell you that even the mother and baby pictured in SeaWorld's tweet are separated right now -- Kohana was moved to a zoo called Loro Parque in Spain in 2006 when she was four years old (interestingly, Kohana's father is none other than Tilikum, the whale that killed SeaWorld trainer Dawn Brancheau in 2010 and the subject of "Blackfish"). In the wild, orca whales are known for their highly social, matrilineal family pods, and most live with their mothers for their entire lives. The Dodo has reached out to SeaWorld for comment, but has not heard back yet.